Posted September 25, 2015 by Andy Edwards . Remember the Burger King mascot? The creepy version of Burger King’s “King” – a man dressed in robes with a smiling face, beard, and regal crown – that first came to life in 2003. Someone thought it was a good idea… but turns out this “mascot” only served to alienate, and creep-out, fans of the burger joint. Burger King was the number two in the fast food burger world up until it made some fatal marketing mistakes. In effort to overtake McDonalds, they tried to bring back the “King” and use him in various ad platforms in digital and print. They spent a tremendous amount of money on these campaigns and getting the “King” out there. What they didn’t do is the needed research into how people perceive the “King” and what demographic would be affected by his endorsement of your lunch time choice. The general public opinion is that the King is creepy. His face has a shiny glean and a permanent smile that doesn’t show any facial movements, on top of a… well, a very odd outfit. He did not gain customer trust or win business, in fact he did just the opposite. After the relaunch of the King in 2008, sales dropped nationally for Burger King, causing locations to close down and the chain to slip to the number 3 below Wendy’s. A big issue with Burger King’s marketing strategy was that it was only talking to young male “super fans.” Ad Age reported that 29 percent of Burger King customers in 2010 were actually over 50 years old. The King soon “retired” in 2011. Burger King shows us that anyone with some money and an idea can launch a marketing campaign. They also showed us that if you don’t know what you’re doing, haven’t targeted the correct audience and don’t do the right research, your marketing can actually harm your business. 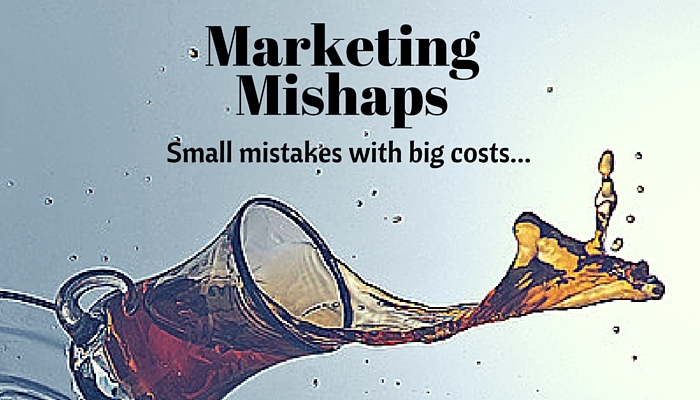 A marketing mistake can cost your business, big or small. Some say “all press is good press” but clearly seen after the King’s example that is just not the case. Don’t just pick any marketing company. Choose a company that can put together a complete marketing strategy and knows how to implement it for you, bringing you peace of mind and allows you to focus on what your great at, your business. Request a free marketing assessment for your business for valuable insight into your customer base.